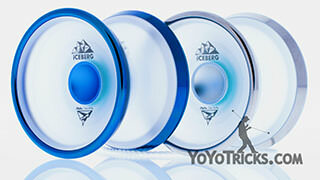 Learn to make the most of the Originator, Dominator and Luminator yoyos. 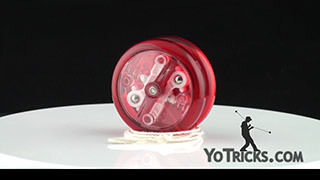 The Peter Fish Yoyos Yoyo TrickThere are three yoyos in the line of Peter Fish yoyos, and the reason there are three is because we wanted to make three yoyos that would take a player from being an absolute beginner and allow them to get all the way to the master level tricks. 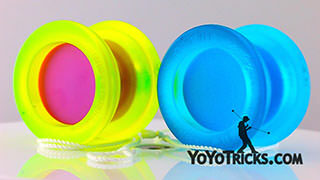 So, each yoyo, Yo-1, Yo-2, and Yo-3, or the Originator, the Dominator and the Luminator are specifically designed for a different type of player and different types of tricks. 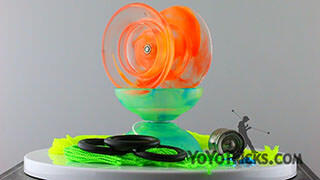 In this video I am going to show you what those trick are and how these yoyos work. Let’s start with the Originator, Yo-1. 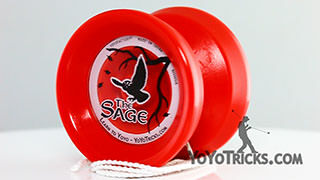 This yoyo is the yoyo for the absolute beginner. 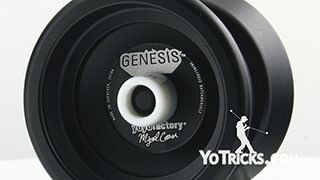 It has a couple of really cool features that make it great for players who have never yoyoed before. 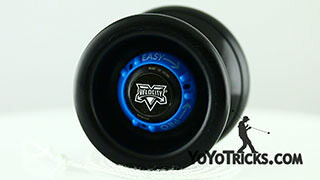 The first thing is that it has a cool blue light that is built into it which makes it kind of fun if you are just getting started and you just want to have a good time yoyoing. More importantly it has this built in clutch mechanism. 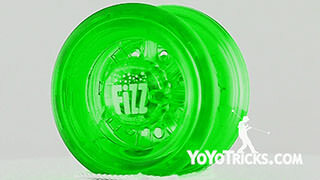 What that does, is it allows the yoyo to sleep but before the spin is about to die that clutch will actually grab onto the axle and bring the yoyo back up to your hand even if you never pull on it. This helps beginning players get over a lot of the early frustrations of yoyoing because they don’t have to be pulling it up all the time to get the yoyo back up, the spin is not going to die out on them because the yoyo is going to bring it back up automatically. It is also going to teach them how to get a good throw because if you do not throw the yoyo hard enough the yoyo just won’t sleep. In order to get it to sleep you have to throw it just a little bit harder and that will help you learn the basics. 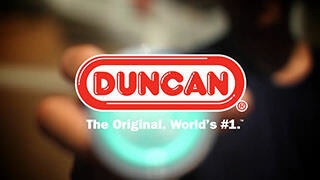 That’s the Originator. 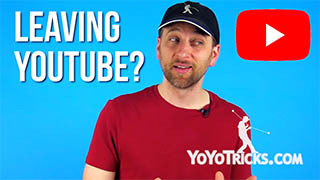 Even though the Originator can be used for String Tricks and for Looping tricks it simply isn’t as good for those tricks as Yo-2 and Yo-3 that I am just about to show you. 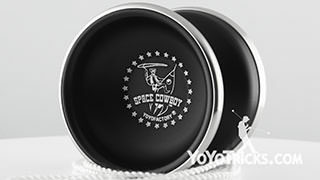 So, if you are an ultimate beginner I recommend getting this yoyo, learn the basics, learn them from the videos on this website where I use this yoyo to teach you and that will be a great place to start. From there you want to move on to the Dominator and the Luminator. 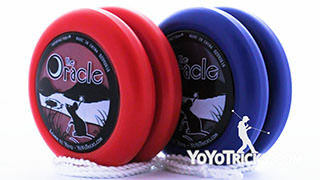 Each of these yoyos is for a different type of trick. 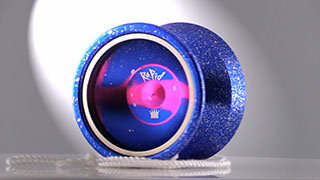 The Dominator, as you can see, it has this ultra-thin design. What that is for is looping tricks. 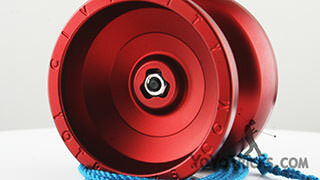 It is just a super great looping yoyo. You can do all your different kinds of loops: your inside, your outside, you can go down and even up into your punching bags – all sorts of different looping tricks. 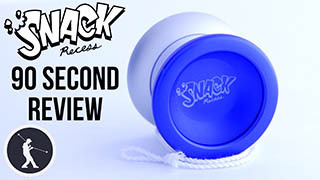 It also makes it great for your two-handed tricks because it is such a great looping yoyo. It does have a ball bearing on the inside so it will sleep a really long time which is great when you are doing your around the worlds, maybe in your two-handed routines. Because it is so thin it fits into your pocket very nicely even if you have two of them and you are tying to become a great two-handed player. 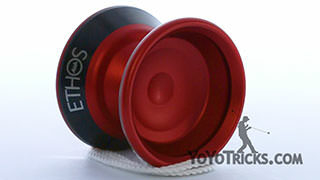 It’s thin design does make it more difficult to do string tricks with this yoyo. 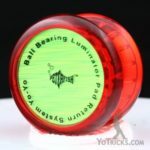 Even though you can see that you can land the yoyo on the string and do these tricks, because it has a ball bearing in it, it is not going to work as well for those tricks as the Luminator. 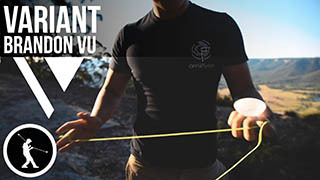 The Luminator, it has this ultra-wide design which is going to make it perfect for learning those string tricks. 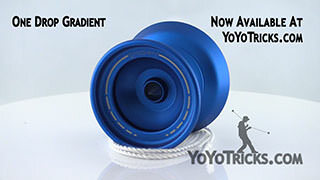 All the different string tricks are just going to be so much easier with this yoyo. Because that is exactly what it is designed for. 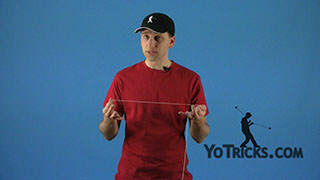 Because it is wide it also makes it a little bit more difficult to do your looping tricks. 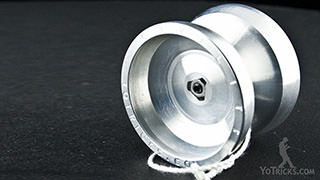 Even though you can do your loops with this yoyo it is going to be quite a bit more difficult because that narrow design is better for looping. 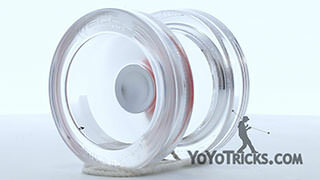 The other thing that this yoyo is good for are tricks that are called flips. 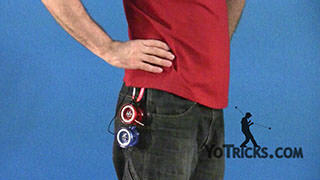 Instead of looping the yoyo like this, this is where you actually have a back and forth motion like this. 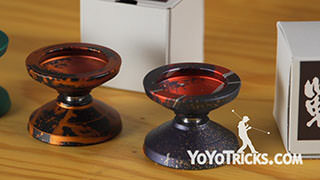 The wide design makes it really ideal to learn those types of tricks. 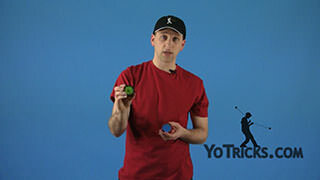 Throughout all the different videos on this website I am going to use the yoyo that is best suited to the type of trick that I am trying to teach you. 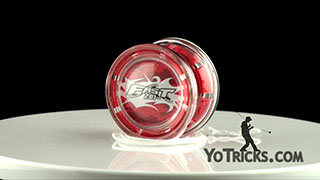 So, as you are going through you will know which yoyo is the best yoyo for that trick. 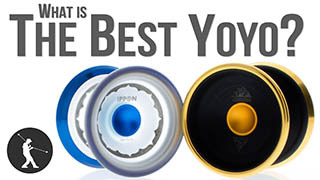 We hope that this help you get started and to know which yoyo is right for you. We are doing everything we can to help you go from being an absolute beginner to a grand master, so we hope that this helps you out.